Pakistan’s Air Force (PAF) commander has reportedly ordered to take down drones violating the country’s sovereignty, including that of the US. Air Chief Marshal Sohail Aman also recalled a historic breach of trust incident over a batch of US-made F-16’s which Pakistan paid for, but never received. The jabs against America, a key ally, came Thursday in a speech Aman delivered at a ceremony of aviation students gathered in Islamabad. The top military official praised Pakistan’s air prowess, saying their forces are prepared to defend the sovereignty of the country. “We committed a mistake in Osama bin Laden’s case but now the country’s sovereignty will be protected at all costs,” he told an audience at the AirTech 17 expo at the Air University. Aman was referring to the CIA-led US commando raid in May 2011, which involved a cross-border flight of Black Hawk helicopters from Jalalabad, Afghanistan to Abbottabad, Pakistan. The Pakistanis were not informed about the planned assassination beforehand, which sparked outrage in the country. 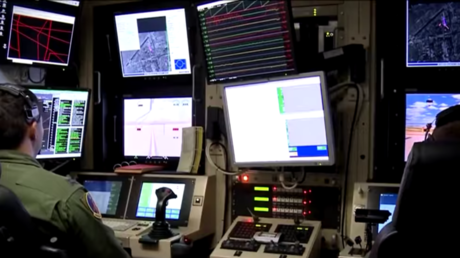 The US flies drone missions over Pakistan and conducts airstrikes on suspected militants in the turbulent tribal area on the border with Afghanistan. The practice has prompted outrage amongst Pakistanis because of the high death toll it effects on civilians. 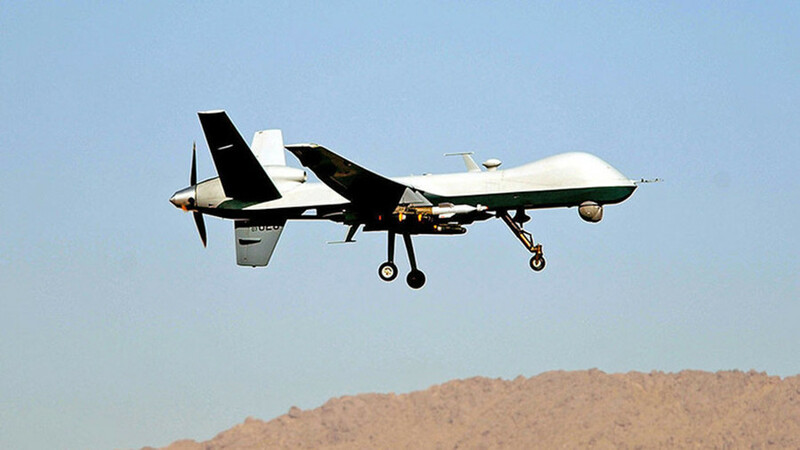 “In the past, the drones have been attacking targets in Pakistan. Earlier it was perhaps with the detested approval of the government of Pakistan. But in the last couple of years, the government of Pakistan has not provided any such approval,” Talat Masood, a retired three-star general in the Pakistani army told RT. Masood explained that Pakistan is forced to protect its sovereignty in order to avert an Arab Spring scenario witnessed throughout the years across the wider Middle East. “In fact, at the moment there are some scribes in the New York press or in the Washington press who are predicting that if Pakistan does not draw the line of the United States of America, a Syria-like situation maybe created over here. This has raised the hackles in Pakistan, because Pakistan cannot allow its territory to be used by others to engineer in the name of democracy, any farcical moves which can destabilize the country,” he said. Aman praised Pakistan’s aviation engineers and scientists, saying their expertise and brilliance means the country need not depend on foreign suppliers for military aircraft. He recalled the issue of the cancelled delivery of US-made F-16 fighter jets, for which Pakistan already paid a multi-million dollar down payment. This, however, conflicted with US non-proliferation goals, since Pakistan was actively working on producing a nuclear weapon to counter arch-rival India’s newly acquired nuclear capability. 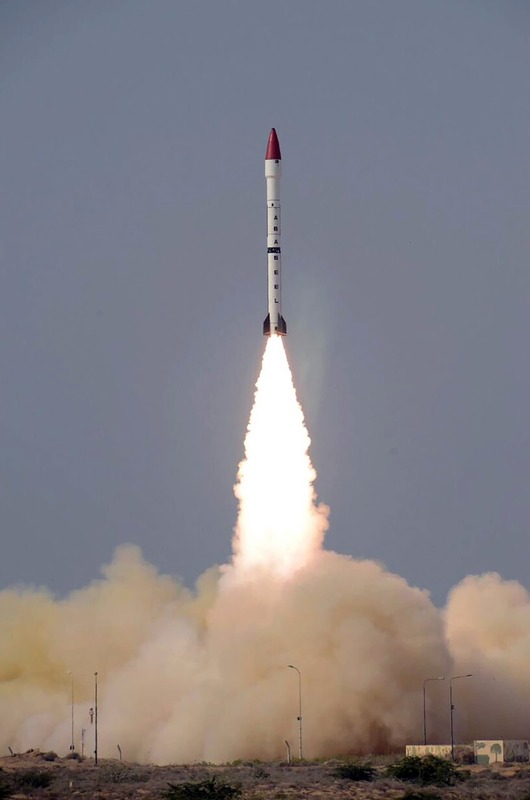 US law prohibits providing any aid to a potential nuclear proliferator, so in order to keep Pakistan on its good side, a stop-gap solution was introduced – the 1985 Pressler Amendment. Named after US Senator Larry Pressler, the legislation enabled a US president to certify to Congress that Pakistan was not developing nuclear weapons, and thus qualified for aid. The administrations of Ronald Reagan and George H.W. Bush did so for five years, despite intelligence to the contrary. But in 1990, USSR troops were no longer in Afghanistan, and Pakistan’s value diminished in Washington. The non-proliferation sanctions then kicked into force, putting a stop to the ongoing deal to deliver 28 F-16’s to the PAF. Pakistan was not only denied the planes, for which it paid Lockheed Martin over $650 million, but also audaciously slapped with a $50,000 per month storage fee. Ironically, the annual payments to the US defense contractor for the withheld jets continued until 1993, as Pentagon officials were telling the Pakistanis that the warplanes would eventually be delivered. The F-16’s eventually went to New Zealand while Pakistan and the US settled the dispute under Bill Clinton’s presidency, albeit via a partial compensation. In Pakistan, the story is perceived by many as a national humiliation, and an example as to why the Americans cannot be trusted. Denied the American fighter jets, Islamabad relied on China to develop a replacement, the CAC/PAC JF-17 Thunder, which has been produced in both countries since the mid-2000s. Chief Marshal Aman praised the JF-17 corroboration as testament to Pakistan’s technological capabilities, saying the aircraft is superior to the F-16 “in all regards”. He added that the PAF will soon produce a 5th generation warplane under Project Azm, and announced developments in a national space program and potential joint space exploration with China. The anti-American tinted speech by Pakistan’s senior military commander comes amid a period of tense relations between Islamabad and Washington. 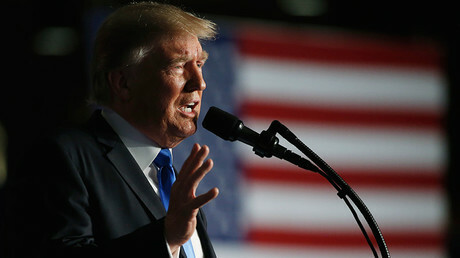 President Donald Trump harshly criticized Pakistan in August as he was announcing his administration’s new strategy for Afghanistan. The accusations fueled Pakistani sentiment that Washington cannot be relied upon. In total, the PAF plans to acquire 150 JF-17s over the next years divided into three production blocks: Block-I, Block II, and Block-III. So far, the PAF has only received Block-I and Block-II variants of the aircraft. 50 out of the 70 JF-17 in service are of the Block-I variant. The PAF last inducted 16 Block-II JF-17s in April. As Inoted elsewhere,according to the chief of air staff, Air Chief Marshal Sohail Aman, Pakistan achieved its goal of producing 16 JF-17 Thunder aircraft in 2015 and wants to produce a total number of 24 Block-II JF-17 aircraft by the end of 2016. Next to carrying a heavier weapons payload, Block-II variants feature a new air-to-air refueling probe, an enhanced oxygen system, and an improved electronic countermeasures system, among other things. Pakistan produces 58 percent of the airframe and China 42 percent respectively. Islamabad has the capacity to assemble up to 25 JF-17s per year without Beijing’s technical assistance. However, as I noted in April 2015, according to Chinese and Pakistani media reports, China agreed to deliver 110 JF-17s to Pakistan in fly-away condition due to Pakistan’s still limited aircraft manufacturing capacity. The JF-17 was originally developed to to replace the PAF’s aging fleet of Dassault Mirage III/5 fighter jets by 2o20. “Pakistan is looking to replace 190 aircraft—primarily Chengdu F-7 and Dassault Mirage III/5 fighter jets—by 2020 presumably with a mixture of F-16 and JF-17 aircraft. Pakistan, however, is also allegedly in talks with Russia over the purchase of Su-35 multi-role fighters,” I reported in April(See: “China and Pakistan Air Forces Launch Joint Training Exercise”). China and Pakistan are also developing a combat-capable two-seat trainer variant of the JF-17, which likely will make its maiden flight in the coming weeks. Despite a high-profile reversal for the JF-17 fighter in Malaysia last December, officials from the Pakistan Aeronautical Complex (PAC) attending the Defence Services Asia (DSA) 2016 exhibition in Kuala Lumpur remain optimistic about regional sales and offered details about the fighter co-developed with China’s Chengdu Aircraft Industry Group. In December 2015 Malaysia’s high commissioner to Pakistan said Malaysia was considering purchasing the JF-17 and might make a decision “very soon”. Malaysia’s defense minister denied this the following day. Nevertheless, PAC officials attending DSA remain optimistic about a future sale to Malaysia. Myanmar has been widely reported as the first JF-17 customer. PAC officials also countered recent negative reports about the JF-17 in Western media. They denied a JF-17 had broken up in flight due to faulty wing design, as had been reported earlier this year. According to press reports, India recently advanced criticism of the JF-17 to lobby against the JF-17’s sale to Sri Lanka. Regarding future JF-17 development, on multiple occasions Pakistani officials have affirmed their commitment to the 8.7-ton-thrust Klimov RD-93 turbofan. However, officials speaking to IHS Jane’s at DSA 2016 said that for the goal of advancing aircraft performance, they were open to considering China’s 9-ton-thrust WS-13 or the 9.4-ton-thrust Klimov RD-33MK. Russian industry sources at DSA 2016 noted that the WS-13 remains at an early stage of development and has an estimated service life of 2,000 hours compared with 4,000 hours for the RD-33MK. PAC officials also confirmed that the new JF-17 refuelling probe design, recently seen in China, will be the configuration for the JF-17. 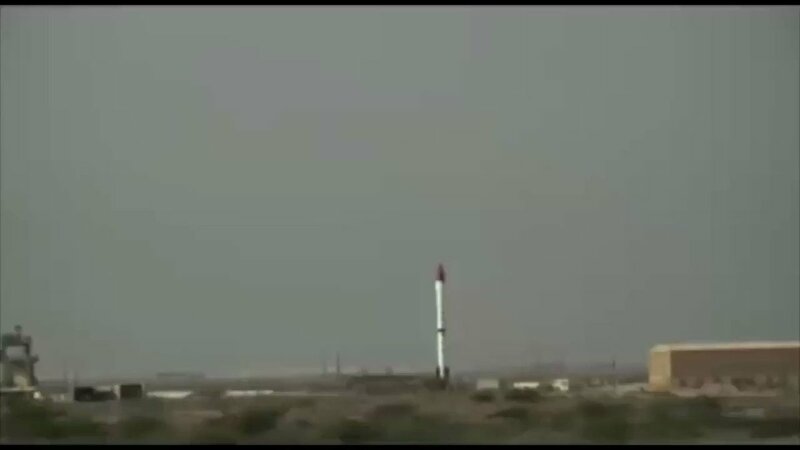 These officials also noted that Pakistan has an anti-ship variant of the new China Aerospace Science and Industry Corporation (CASIC)-developed hypersonic CM-400 air-to-surface missile. They said a twin-seat JF-17 would begin test flights in late 2016 or early 2017. Azerbaijan and Pakistan have a unique political relationship that has surpassed territorial boundaries and geographical distances. Pakistan was among the first states to recognize Azerbaijan’s independence following the 1991 Soviet collapse. Today, Pakistan is the only country that has not established diplomatic relations with Baku’s main foe, Armenia. The bilateral strategic cooperation between these two countries embraces the economic, cultural, political, and especially defense fields. Taking into account their close ties, the current level of military cooperation between Azerbaijan and Pakistan needs to be emphasized. While Azerbaijan’s defense industry has strategic relations with various countries, Baku has been seeking ways of expanding military cooperation with Pakistan in particular over the last years. Given the Pakistan’s status as a nuclear power, combined with its dynamic military muscle, military cooperation can be seen as another fundamental building block of the bilateral relationship. The two countries signed a defense agreement in May of 2003, which allows Azerbaijani military staff, in particular special force units, to take part in annual military drills along with Pakistani armed forces. As a part of the agreement, Azerbaijani naval personnel participated in the biggest Pakistani-led multinational exercise, AMAN-2013, held in March 2013 in the Arabian Sea. In addition to this, Pakistan and Azerbaijan are planning to hold bilateral military exercises, according to comments from Pakistani Prime Minister Nawaz Sharif during his official visit to Azerbaijan in October 2016. Beyond joint exercises, military and defense cooperation between Azerbaijan-Pakistan takes the form of continuous dialogue in high-level meetings, as well as military agreements such as the military cooperation agreement that was signed in February 2014 in Islamabad. The same document was updated in 2015 and 2016, during the Working Group Meetings in Baku and Islamabad, respectively. Azerbaijan, which has been locked into a long-term bloody conflict with Armenia for more than a decade, considers the further development of its defense industry as a main priority. Baku, which enjoys Pakistan’s full diplomatic support with regards to the conflict, is also looking to Pakistan as a source of military hardware. Azerbaijan is eyeing the JF-17 Thunder (also known as the FC-1 Xiaolong), a multi-functional aircraft that was jointly developed by Pakistan and China. Although Azerbaijan has expressed interest in importing the JF-17, no formal deal has been reached yet. Nevertheless, the Pakistani Ministry of Defense was invited to demonstrate the JF-17 at the 2016 Azerbaijan International Defense Exhibition (ADEX-2016) for the first time. During the exhibition, Minister of Defense Industry Yavar Jamalov repeatedly showed interest in importing new fighter jets. In the same year, Azerbaijan’s First Deputy Prime Minister Yaqub Eyyubov attended the International Defense Exhibition and Seminar (IDEAS), where he reiterated his government’s interest in buying new aircraft. Currently, the Azerbaijan Air Forces operate mainly MiG-29, Su-25, and MiG-21 aircraft. The JF-17 aircraft had been produced as an affordable and modern replacement to French-made Mirage III and F-7 interceptors. Pakistan had long been trying to find countries to buy the JF-17 in order to reduce the per-unit cost the Pakistan Air Force pays. Thirteen countries have so far expressed interest in purchasing the JF-17 aircraft, including Azerbaijan, Zimbabwe, Bangladesh, Myanmar, Egypt, Iran, Lebanon, Malaysia, Morocco, Nigeria, Sri Lanka, Algeria and Sudan. As The Diplomat has noted previously, “the lightweight, single-engine, multi-role combat jet, jointly developed by Pakistan Aeronautical Complex and China’s Chengdu Aircraft Corporation, sells at an attractive price point, with a unit cost of just around $15-25 million.” According to Pakistani media, in addition to the JF-17, officials in Baku may also seek to purchase MFI-395 Super Mushshak trainer jets. The main reason driving Pakistan-Azerbaijan politico-military cooperation is the fact that Baku is still dealing with an unresolved territorial conflict in the Nagorno-Karabakh region. Azerbaijan’s government does not try to hide the fact that it wants to muster all possible backing in order to resolve the Nagorno-Karabakh conflict. In the case of Pakistan’s own territorial dispute with India, Baku “fully supports the settlement of the Kashmir problem based on the relevant resolutions of the UN Security Council,” as President Ilham Aliyev said during a joint press conference with Sharif in Baku. Despite differences between their militaries and defense industries, Azerbaijan-Pakistan military cooperation makes a significant contribution in terms of regional security. Both countries are concerned about border security and the growing threat of global terrorism. With Azerbaijan having apparently seriously rekindled its interest in purchasing JF-17 Thunder aircraft, it’s likely that in 2017 a significant deal will be reached. Beyond that, Azerbaijan is looking to start the joint production of small firearms, guided munitions, and anti-tank missiles. Even though the Azerbaijani defense industry was established in 2005, it has shown significant development over the past decade. The country does manufacture the well-known Istiglal sniper rifle, which has been used by Pakistani special forces since 2012. There is no doubt that Pakistan will try to make additional inroads into the defense market of Azerbaijan, as it is economically and strategically important for Pakistan to find new means to export aircraft, missile systems, tanks, and other kind of military vehicles. 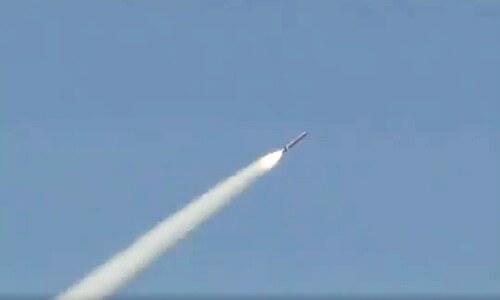 In this, Azerbaijan will be a willing partner.